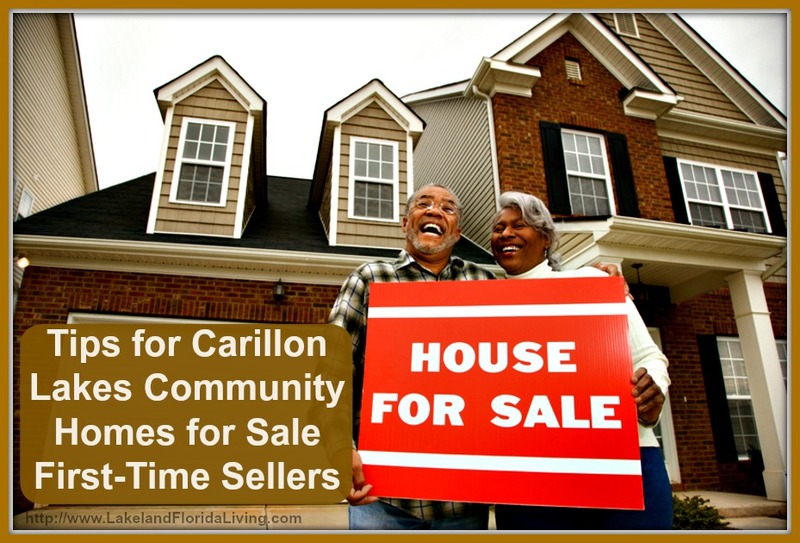 How hard is it exactly to host an open house for Carillon Lakes community homes for sale? Put up some signs at street corners, bake a batch of fresh cookies in the oven, add a vase of fresh flowers, then sit back, relax, and wait for your throngs of people to come in. That’s all there is to hosting a successful open house, right? You don’t exist in the mind of the buyer. The focus of an open house should be the home, not the seller. To ensure that they don’t shift the focus from home to you, don’t be at the open house. Let your Realtor® do the talking for you. They will be more capable of handling situations wherein buyers point out things they don’t like in the house for sale in Carillon Lakes community. In addition, all of your personal belongings such as family photos, posters, toy collection, and more should be hidden from sight. You don’t want potential buyers to see your travel photos and talk about you and all the places you’ve been to instead of admiring the freshly-painted walls in the living room, do you? Consider hiring a cleaning service and professional stager. Nobody likes looking at a dirty place, much more living in it. The open house is a way for buyers to see themselves living in the home so to ensure that they are focused on its beauty, hire a cleaning service to remove all clutter and give all faucets and bathroom tiles a good scrubbing. To further help buyers in picturing themselves living in the home, consider hiring a professional stager to help beautify the space. These experts work on making the home more attractive to potential buyers. They make sure that all the broken things are fixed, they add a fresh coat of paint, and they arrange or add furniture to brighten your home. Some stagers also improve your home’s curb appeal, which is very important since buyers can immediately get turned off and turn away from a home for sale in Carillon Lakes community with a sad-looking front yard. While an open house is a form of marketing your home for sale, hosting an open house requires its own set of marketing techniques. Directional signs on street corners and posters or flyers are not enough anymore. Nowadays, buyers start their search online. As such, sellers and Realtors® need to be able to reach this online market and bring them together to attend a scheduled open house. Share your listings on real estate websites, on blogs, or on your social media channels. It’s not easy selling a home and it can be challenging to host an open house successfully but by following these simple tips, you’ll soon find yourself with a couple or so offers in a few weeks’ time. For even more home selling tips, visit http://www.LakelandFloridaLiving.com. As the heart of any home, primping your kitchen with luxury items can become quite a charm. Apart from quality stainless steel appliances to intricately-carved kitchen shelf molding or custom made cabinets, other items you can add to your kitchen are: modern wine racks, slim brushed steel bin, stainless steel paper towel stand, or a decorative glass fruit bowl. What’s a beautiful coffee table without any good coffee table books stacked up on top of it? Find books on topics you care about the most such as photography, poetry, or art and line them up neatly on your modern coffee table. This stack can easily become a focal point in your living room, easily raking up chic points for your home for sale in Carillon Lakes community. There’s nothing quite like going home at the end of a long day and slumping on your massive comfy bed, snuggling under the covers, and ready to sleep the night off. Make your bedroom a sophisticated abode by investing in a sturdy bed frame and a luxury designer mattress that will last you for years to come. If you’ve got time to spare before hitting the sack, wouldn’t you want to take an invigorating shower under an exceptional luxury shower head? You can also opt to bring in a beautiful non-traditional bath mirror or two. Don’t forget to use only the softest towels and designer bath mats. Be smart about your purchases and learn where best to invest that hard-earned money to make your dream home as luxurious as you possibly can. For even more helpful home decorating tips, visit http://www.LakelandFloridaLiving.com. According to the National Fire Protection Association, Thanksgiving is the leading day for fires due to home-cooking. If you will be preparing a sumptuous feast for the whole family, you must be very careful about the fire hazards in and around the kitchen. As a precaution, install smoke alarms near the kitchen and on every room of the home. If you already have them installed, make sure to double check that these are working, and always remember to replace the batteries at least once every year. Also, remove fire hazards such as wooden ladles, oven mitts, or kitchen towels near the stove. It also helps that you have and are actually familiar with using a fire extinguisher in case of emergencies. Don’t forget to let everyone in the house know what to do in case of a fire at home. Never use water to put out fire on the stove. It can only cause the fire to flare up and spread even faster. If you’ll be using candles for decoration, don’t leave these burning unattended and nearby fire hazards. 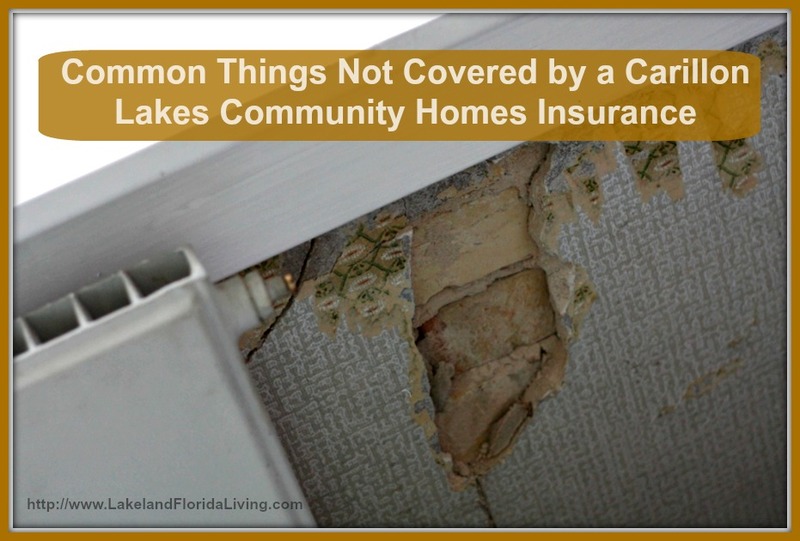 One of the problems faced by homeowners is the security of the Carillon Lakes community home. Fortunately, we have technology that can help ward off and even catch home burglars if and when they attempt to rob the home. Install a complete home security system that allow for mobile- and web-based monitoring sop you can be at peace knowing exactly how your home is wherever you may be. You can also set the lights on timers to help ward off intruders. If you’ll be gone for weeks, ask a neighbor to pick up your mail for you or just simply stop delivery. Plus, don’t forget to lock all doors, windows, and other entry points of your home. Ask a trusted neighbor to keep a copy of your spare key in case of emergencies, and not leave it under the mat or in a potted plant because these are the exact places where burglars will look for them. Make you and your family’s safety a priority. 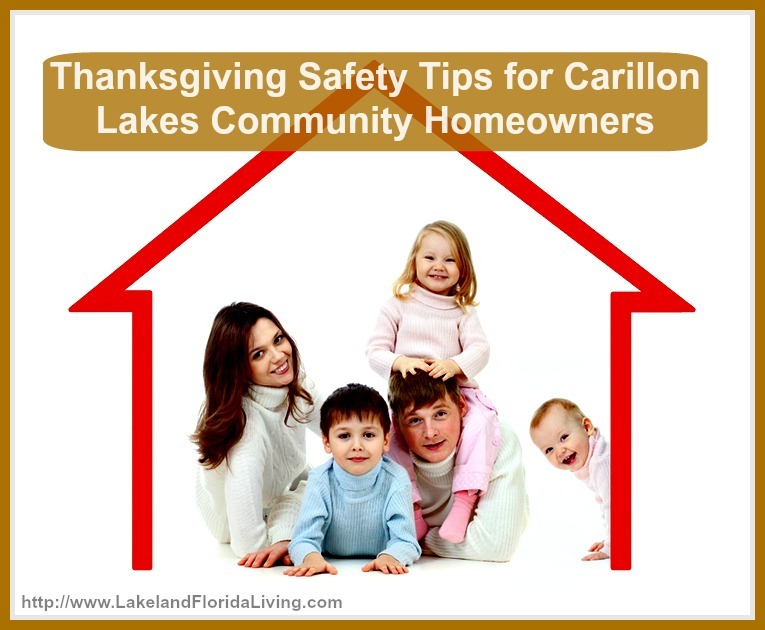 Keep in mind all these safety tips so you can truly enjoy a warm and wonderful Thanksgiving holiday, whether it be out of town or in your Carillon Lakes community house. For even more holiday safety tips for smart homeowners, visit http://www.LakelandFloridaLiving.com. 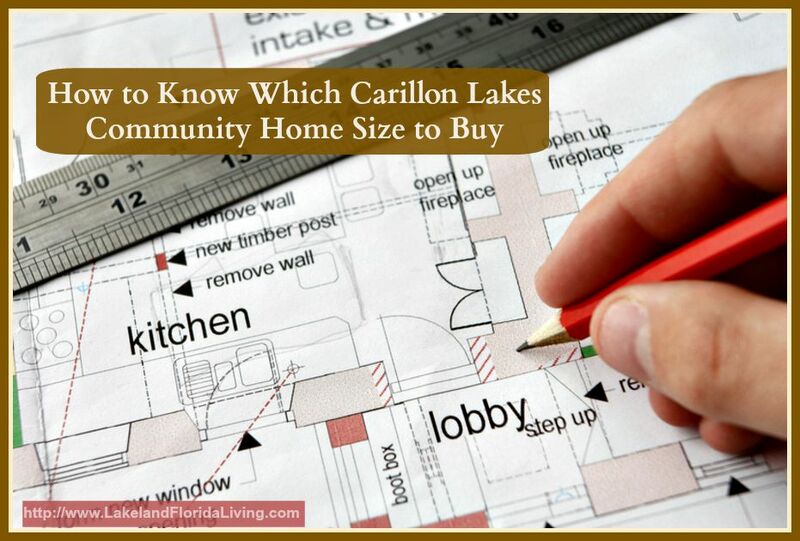 Buying and selling Carillon Lakes community homes for sale can be a challenging task. For homeowners, these tasks are even more difficult if you don’t have the right kind of Realtor® to help you. The real estate market is an ever-changing landscape. The pricing strategy that’s applicable for a certain month might not work for the coming month and vice versa. An inexperienced agent will have a hard time adapting to these changes. Also, an agent who does not know the area particularly well will find it difficult to help their clients when looking for homes to buy or marketing homes for sale. Both sellers and buyers should be on the lookout for a good Realtor® who’s got years of experience and are very knowledgeable about the particular community’s housing market. What good is experience and community knowledge if your Carillon Lakes community Realtor® aren’t able to tell you these information? They listen and read their clients. They know what their client needs and they are able to effectively communicate real estate language in a way that their clients can understand. This characteristic helps clients to make crucial informed decisions in a timely manner. A new generation of buyers and sellers await the best Realtors® in Carillon Lakes community homes and if they are not able to adapt to the changes in real estate technology, how will they attend to their client’s needs? Most homes for sale searches start online nowadays, which makes it important for agents to have a commanding online presence so the clients actually know where to find them. Various technology resources such as smartphones and tablets are also important to help make communication lines better between client and Realtor®. Find the right Realtor® for you. When buying or selling homes for sale, visit http://www.LakelandFloridaLiving.com. Hire a home inspector. These professionals can help you determine any problems that your current home might have such as leaky roofs, plumbing issues, rust or termites, and more. Once you know what these problems are, it’s easier to address and prioritize getting all these fixed. Hire a handyman for help, too. 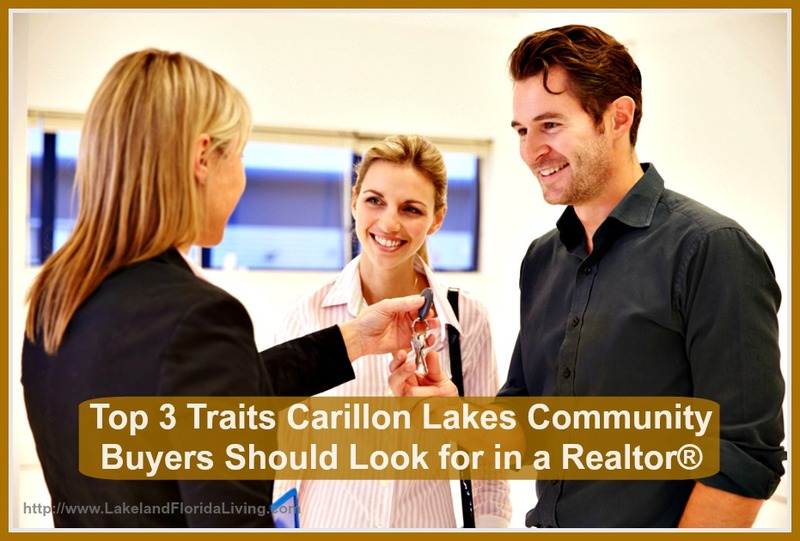 Partner with a trusted Carillon Lakes community Realtor®. Your agent is your ticket to a stress-free home sale. They will work with and for you. Your Realtor® can provide you the comprehensive market analysis you need as well as explain to you all the data you need to understand to determine when to put your home up for sale. It’s also from these reports that you can know just how much to price your home. Stage an open house. Clear the space and make the home move-in ready. This means that everything that has to be fixed has already been taken cared of and the home is at its most pristine condition. Buyers want to see themselves living in the home so help them paint that picture by staging the home appropriately. Know how much the closing expenses are. Some home sellers get surprised by just how much the brokerage fees are. Learn all you can about these fees and budget this in your home sale. Apart from the brokerage fees, sellers also need to consider the costs of abstract re-dating, instrument survey, transfer taxes, and more. It’s never easy putting up your home for sale but by following these simple tips, you’ll definitely get that best price offer soon. Find even more home selling tips by visiting http://www.LakelandFloridaLiving.com. Zombies, mayhem, and destruction combined with a teenage boy who can talk to the dead and who lives in a town where an evil witch was once executed. This stop-motion animated film is one that will surely give you both the creeps and loads of laughs, too. Introduce the man with scissors for hands to your kids. Directed by Tim Burton, this Halloween classic is a close retelling of the Beauty and the Beast, with an isolated “monster”, a beautiful girl, a mansion, and angry townspeople at the end of the film. You have witches, wizards, goblin, wands, and lots of dark magic to go around. The entire Harry Potter series is a movie series that’s appropriate for a Halloween night at your home in Carillon Lakes community. Although you might want to have a separate movie night just for these 7 films alone. The beloved friendly ghost from the cartoon series comes alive in this heartwarming tale of friendship and love. It’s a ghost meets girl kind of story and the ending will definitely get you all teared up. While we’re all waiting for the remake of this film, get your kids to watch the original Ghostbusters as they try to fight the evil spirits trying to take over the town. Follow the tale of two lovable monsters – Mike Wazowski and James P. Sullivan – as they scare children to get the needed energy to power up their town. Watch the second film and learn even more about how these two closet-dwelling monsters rose from the top in the university life. Before your kids start dreaming of Carillon Lakes community as a fun Halloween town come Hallow’s eve, share this classic Disney movie with them. Don’t be surprised if they check whether you’re a witch or a wizard after the show, though! 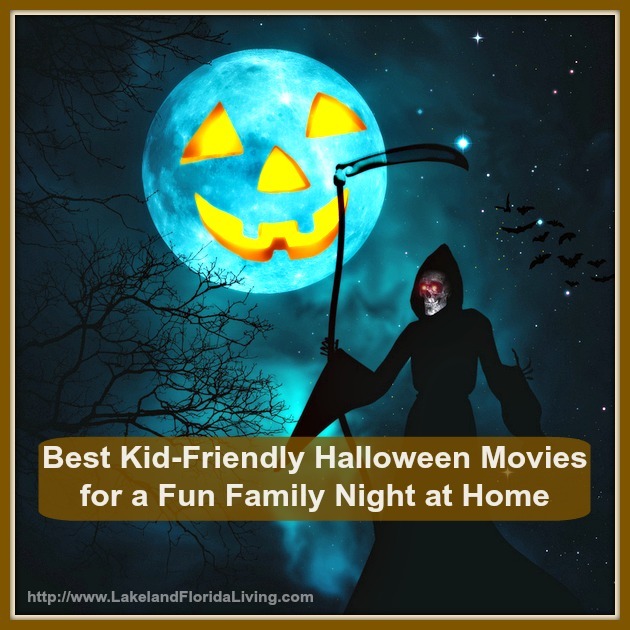 Enjoy the fun decor Halloween season and have fun watching kid-friendly movies with just the right amount of scare and fun. Line these movies up for a fun night in with the whole family. For ideas and Halloween party events in Carillon Lakes community, visit http://www.LakelandFloridaLiving.com. Do you ever find yourself always running late in the morning because you can’t find any outfit to wear for the day? If you find most of your clothes either strewn on the floor and your shoes stored haphazardly under the shelves of the walk-in closet of your Carillon Lakes community home, it’s time to start putting your closet on a diet. Just like how most diets start, one needs to plan out carefully on how to start purging your closet. Make an assessment about what items in your closet take up the most space. Are you able to allot time from your busy schedule to work on this closet cleaning project? Determine these things first before you go on a clothes purge. When the date and time has come for your scheduled decluttering, make sure to focus on the task at hand and tune everything out. Make sure you’ve already eaten something so you won’t have to stop mid-task just to grab lunch at any nearby restaurant in Carillon Lakes community and then get completely tired to finish the task. Leave your phone in the living room or your home office. Put up a “Do Not Disturb” sign on the door. Whatever you need to do to focus, do it. Now that you’re ready to start, begin with taking everything out of your closet – the shoes, the clothes, and all the accessories. Sort them into different piles: Keep, Throw/Donate, Maybe. Items under “Keep” are those that you regularly use such as your slacks, suits or work dresses, pajamas, casual shorts, a few shirts, your go-to heels or brogues, and more. Items under “Throw/Donate” are those that you haven’t used for the past 3 months because they either don’t fit anymore or have a tear or stain. Make sure to repair any holes or tears if you’ll be donating the clothes to a shelter. Items under “Maybe” are the ones you have a hard time deciding on. Place the maybe items in a box and store them for 3 months – if you still haven’t used any of these items by then, it’s time for them to move into the Throw/Donate pile. 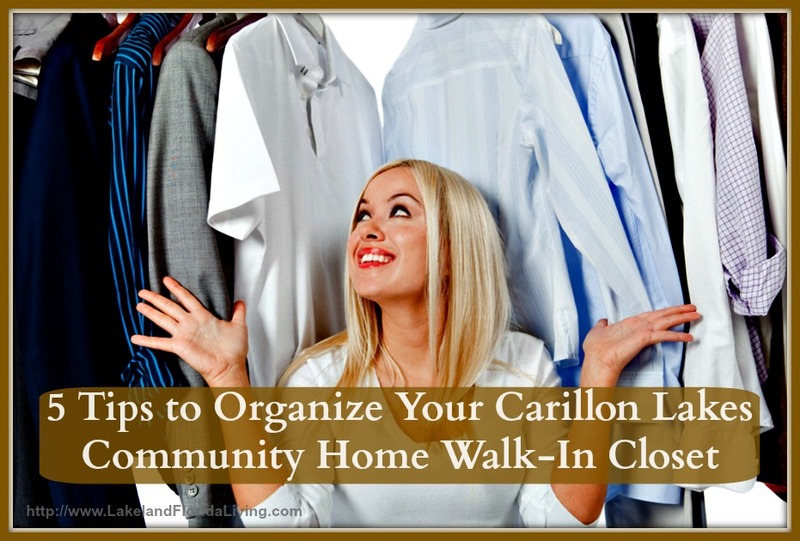 Once you have decided which items will head back to the walk-in closet of your house in Carillon Lakes community, it’s time to visualize how to organize the space. Search the web for closet inspiration. Do you want to store items by color, by style, or by type? If you’ve decided just how to organize the space and find out that you don’t have enough to put all the “Keep” items back in, continue to sort the remaining items. Don’t simply stuff them all in. If you can’t find space for the remaining items then they might not really belong there anyway. Keep all surfaces clean and tidy. Don’t let surfaces such as tabletops or the floor or an empty chair be a loading deck for any clothing item. Resolve to stick by the decluttering you’ve made in your walk-in closet and let go of the “out of sight, out of mind” mindset. Always make sure to put things back the way they were stored whenever you take something out. Doing this everyday ensures that you have an organized walk-in closet that won’t keep you from getting to work on time every morning. Visit http://www.LakelandFloridaLiving.com for more tips and sneaky clutter-cutter tricks for savvy homeowners. Arrange picture frames to make a personalized clock. If you have picture frames and you are not sure how to organize them, try hanging them on your wall in such a way that they resemble the numbers of a clock then use the hands and machine of your old clock and place it on the center. It is a creative way to display those photos of you and your family. Design candle holders. There a lot of candle holders sold from stores and they are just too plain. One thing you can do is to decorate it with things you can easily find at home, like twigs. All you have to do is cut it into pieces, just a little longer than the height of your candle holders. Then attach it around the glass with the use of a glue gun. The twigs’ uneven structure will allow some light to pass once the candle inside have been lit up. Give your laundry basket a new look by using colorful ropes. You can easily attach different colors of ropes around plastic laundry baskets using a glue gun. Mix and match the colors of the rope according to your preference. Mason jars can help you reduce the clutter on your bathroom sink. Simply clamp up some mason jars horizontally on a piece of wood then anchor it to your bathroom wall, near the sink. 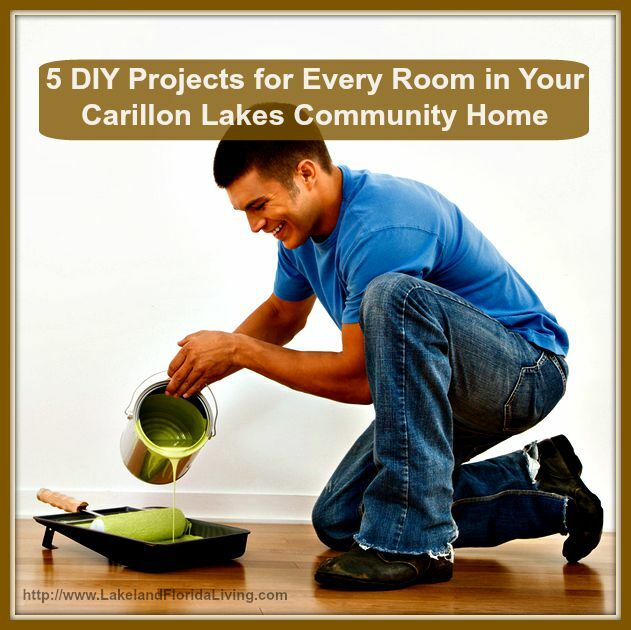 Before listing your home for sale in Carillon Lakes community, you might want to try this artistic and very useful project. Some potential buyers of Carillon Lakes community homes for sale are sometimes looking for something special in a house. Add some uniqueness into your bedroom by mounting your mirror into wooden frames. After that, you can paint the wood frame with different designs you want. There’s no need to spend so much money just to give your home a fresh new look. Enjoy making these DIY projects with family and friends. For more helpful decorating tips on a budget, visit http://www.LakelandFloridaLiving.com. “Bigger is better” is an old saying when it comes to choosing what size of house you should buy. A lot of people still believes this mantra when in fact, there are many factors to consider first before deciding on the size of house they should purchase. It is also advisable to assess your current living situation first before looking at Carillon Lakes community homes for sale. Here are some tips to help you decide the size of your next house.